Ok, final post on IOS-XR before the workbook is published in its entirety. 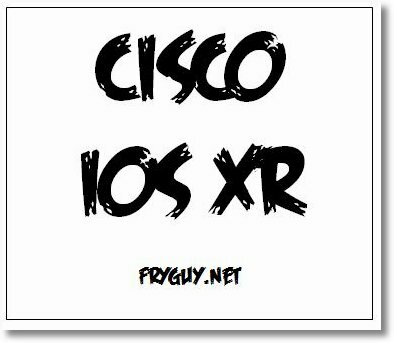 So you want to secure your IOS-XR device using TACACS. First up, we need to configure our source interface for TACACS, here we will use loopback0 and the default VRF. Time to create a local console authenticaion method, this way console does not rely on TACACS. You may or may not want to do this, but I am showing it for these examples. Since this is IOS XR, I strongly suggest using a commit confirmed here! From another terminal, SSH into the box using a TACACS account, and if successful, commit again. % Confirming commit for trial session. That is normal TACACS, now time to add in the challenges of a VRF. Now we need to create a server group for the ACS box. This tells it what VRF the server is in. Now we can specify what VRF this server group belongs to. Here I would commit the configs that we have done.